The 2014 Remington and NRA National Rifle & Pistol Championships at Camp Perry, Ohio are just a couple weeks away. You can still register for one or more of the matches. 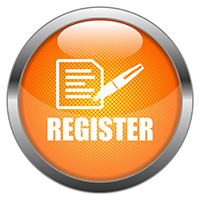 Just click the orange “Register” button (below) to register online. If you’re a smallbore shooter, these next two years will be a little different. In 2014 and 2015, the NRA National Smallbore Position Championships and the NRA National Smallbore Prone Championships will be held at Chief Wa-Ke-De Range in Bristol, Indiana. This change of venue for the Smallbore Championship Events was made to accommodate the 2015 World Palma Rifle Championships at Camp Perry. (The change was made in 2014 because the World Palma teams will be practicing at Camp Perry this summer, a year before the big event.) The Chief Wa-Ke-De Range is an excellent location that has hosted the NRA National Metric Championships for the past few years. 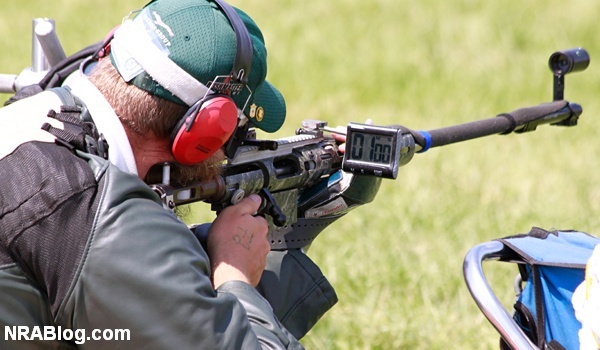 The NRA National Rifle & Pistol Championships are the pinnacle of target shooting in the USA. If you’re itching to try out some new equipment or are looking for an excuse to buy some more accessories, the National Matches are the perfect excuse. Use the links below to register for the National Matches, or to view the 2014 program brochures (in PDF format) for the High Power, Fullbore, and Pistol disciplines. Share the post "Sign Up for 2014 NRA National Championships at Camp Perry"
The first shots of NRA’s National Rifle and Pistol Championships at Camp Perry were fired back in 1907, more than a century ago. On July 8, the National Championships open again, commencing with pistol disciplines. Next come the smallbore matches, followed by High Power competitions. Running from through July and August, the the National Rifle and Pistol Championships are actually a collection of several individual competitions; Pistol, 3-Position Smallbore Rifle, Prone Smallbore Rifle, High Power Rifle, Mid-Range High Power Rifle and Long Range High Power Rifle. It all begins on July 8th at 10:00 am. That’s where Lieutenant General John S. Crosby, U.S. Army retired, will open the Championships by taking the traditional “First Shot” on the Rodriguez Range. There’s something special about Camp Perry,” said Dennis Willing, Director of NRA’s Competitive Shooting Division. “There is more than a century’s worth of shooting sports history out there on those fields. It’s a tradition every shooter aspires to.” Willing should know. For almost 35 years, Willing has been involved in the National Matches in one way or another. He’s shot in both the Pistol and High Power Rifle Championships, served as a Match Referee and was Chairman of the NRA Board of Director’s High Power Committee. He also holds four Distinguished Shooting Medals in Pistol, Rifle, PPC Revolver, and PPC Semi-Automatic Pistol. If you’re signed up to shoot in the National Championships, we wish you good luck. If you can’t compete this year, visit NRAblog.com which will provide daily stories from Camp Perry with a team of reporters. Share the post "Shooters Get Ready for National Championships at Camp Perry"
The USA Shooting National Championships for Rifle and Pistol will be held June 3-9, at the home of the U.S. Army Marksmanship Unit (USAMU) in Fort Benning. More than 500 competitors will vie for national titles in rifle and pistol disciplines. This year’s National Championships serves as a World Cup selection match with the top-three finishers in each Olympic event open class earning a berth in the upcoming World Cup in Granada, Spain in July. Many talented athletes will visit Fort Benning next week, including 2012 Olympian and Prone National Champion Michael McPhail and Olympic and USAMU teammate Eric Uptagrafft. 2012 Olympians Jason Turner and Keith Sanderson will be returning to defend their titles in Men’s 10m Air and 25m Rapid Fire Pistol. On the women’s side, 2012 Olympian Sarah Scherer looks to repeat as National Champion in 10m Air Rifle. Other standouts include National Rifle Team members Emily Holsopple, Sarah Beard, and Amy Sowash. More information can also be found on the USA Shooting website (USAShooting.org) by clicking on the ‘Match Information’ link located under the ‘Events’ tab. Look for scores on USA Shooting’s match results page following each competition. Photos will be posted on USA Shooting’s Flickr photo gallery. CLICK HERE to download the complete 2013 National Championships Schedule (XLS format). Share the post "USA Shooting National Rifle and Pistol Championships June 3-9"